Welcome back to the Forza Week in Review. 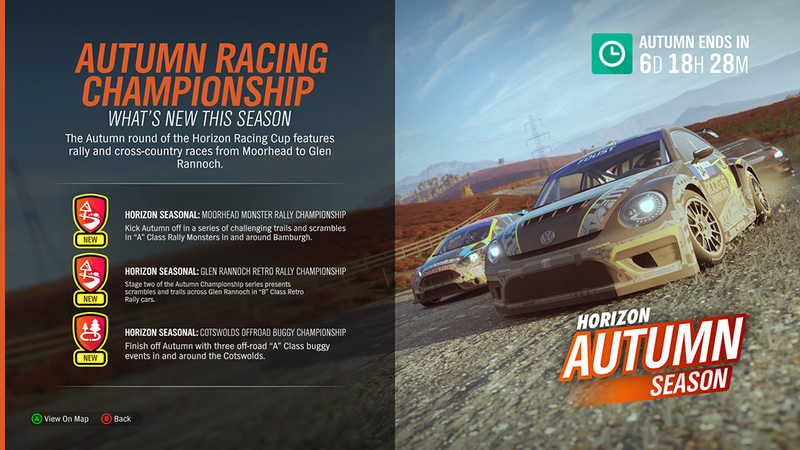 The WIR took a well-deserved vacation last week for the U.S. Thanksgiving holiday but we’re back in the bullpen to get you up to speed on everything that’s happening in the world of Forza. Let’s go! 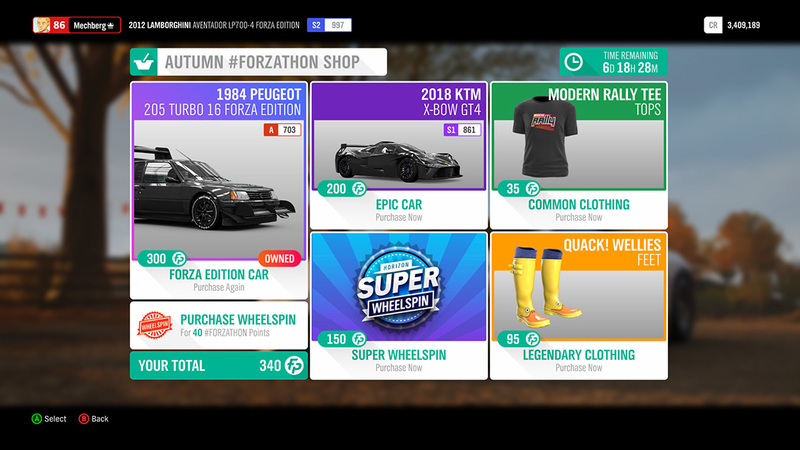 Autumn falls arrives every four weeks in Forza Horizon 4 and we’re thrilled to see the leaves change and the cool new stuff arrive in the game this week. 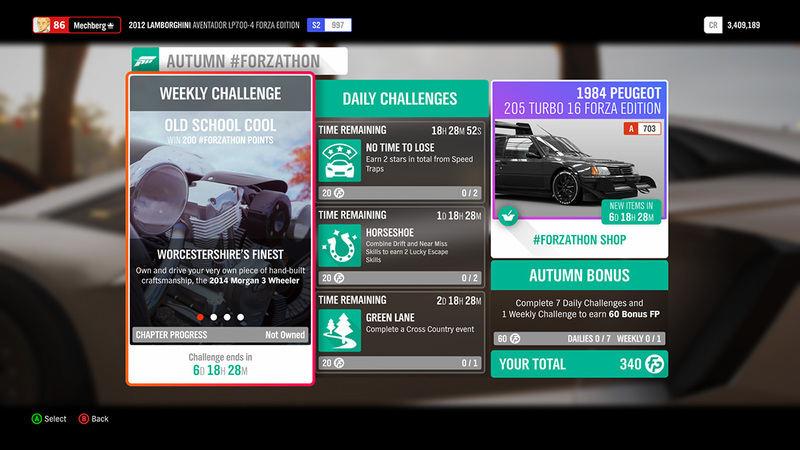 The last couple of weeks for Forza Horizon 4 Car Pass owners have been especially great. For purveyors of pure speed, S2 class rocket-ships like the 2018 Aston Martin Vantage and the 2005 Ferrari FXX have been welcome additions. Elsewhere, elegant British makes like the McLaren 650S Spider and the 1953 Jaguar C-Type have brought a touch of class to Car Pass owners’ garages. Look for Playground’s next livestream, covering the Series 4 update, in the near future. This weekend is your last chance to submit your entry to our “Your Shot” photo contest. 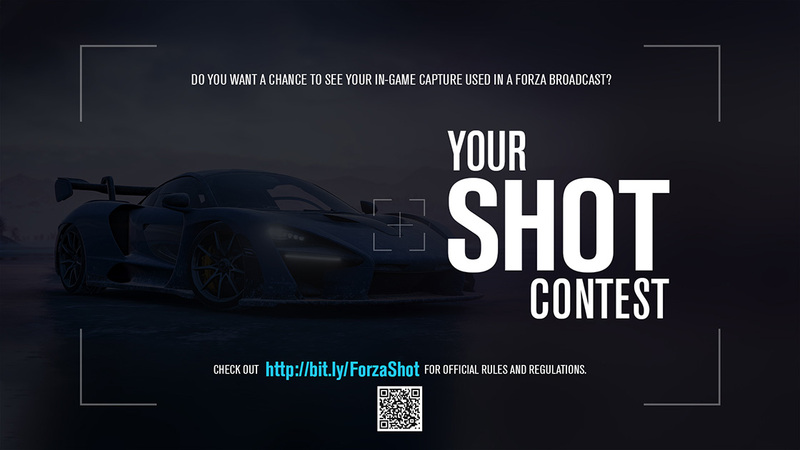 Send us your best photo with some pre-defined liveries (see the rules on the Forza Forums for all the details) and the winners will see their photos used as show assets for livestreams hosted by Verena Mei and our own Johniwanna. This is a great chance for photographers to have their work highlighted in a cool way, so let’s see what you’ve got! Hot Wheels continues to be a theme in our December #Forzathon lineup. In addition to our ongoing “Hot Wheels Anniversary Special” event (which awards the Hot Wheels 2000’s Driver Gear), we’ve got some great new events starting today. 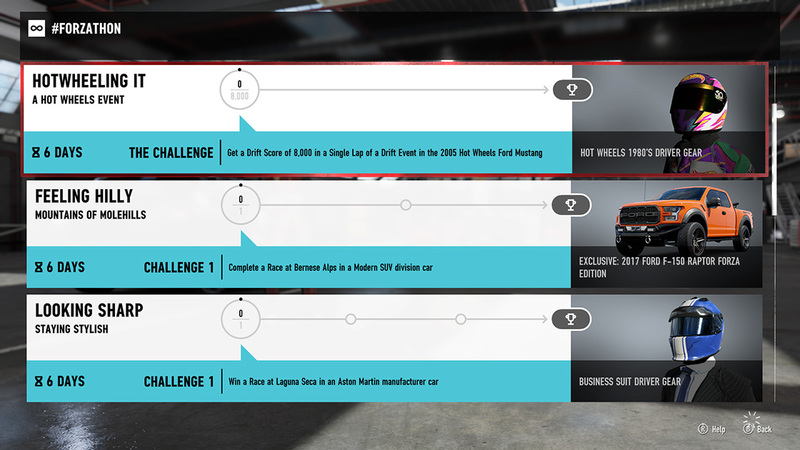 Here’s a look at some of the events; look for more by hitting that #Forzathon tile in the game. The November Bounty Hunter event will conclude at midnight UTC time on Monday, December 9. Remember, there’s tons of bounty targets to hunt down, which means there are tons of rewards to earn by beating their times on the leaderboard. Get your best time in and claim those rewards! 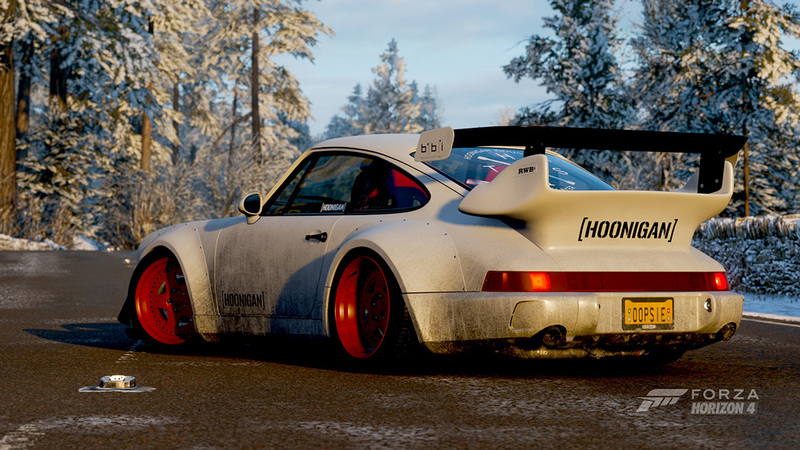 Forza weekly photo contest winner by MetricCCL. Heads up! Next week will see the launch of the December update for Forza Motorsport 7. Look for the details on what’s coming with the December update on Monday right here on FM.net. 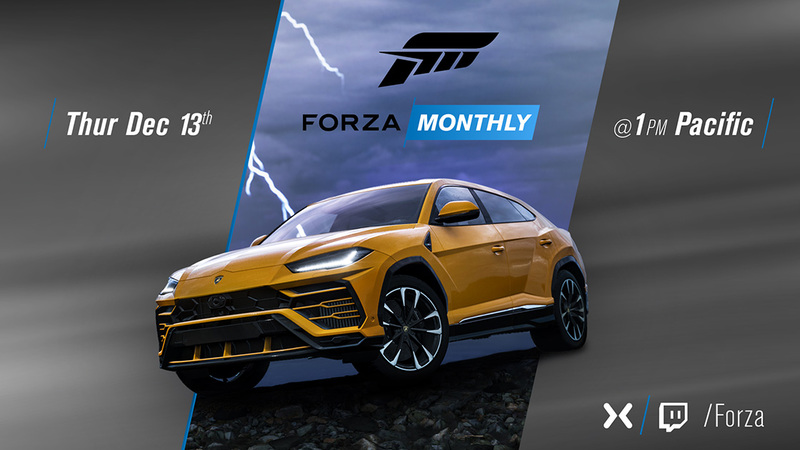 The next episode of Forza Monthly will be broadcast live on Thursday, December 13. Yes, that’s the same day as the launch of the Fortune Island expansion for Forza Horizon 4 and, no, that’s not a coincidence. In addition to checking out Fortune Island with members of Playground Games, we’ll be diving deep into the upcoming Forza Race Regulations system in Forza Motorsport 7 with developers from Turn 10. We’ll also be looking at the December update for Forza Motorsport 7 as well and we’ll have a few surprises and special guests along the way. You can find the show on the Forza Mixer and Twitch channels, don’t miss it! Forza will be hitting the airwaves tonight at 6 p.m. Pacific (right after today’s edition of #ForzaFriday) to play some Forza Horizon 4 with viewers. I’ll be joined by Kate Yeager and Graeme Boyd during the segment and in addition to playing the game, we’ll have some Forza-related goodies on hand that you can bid on to help raise money for the Extra Life charity. 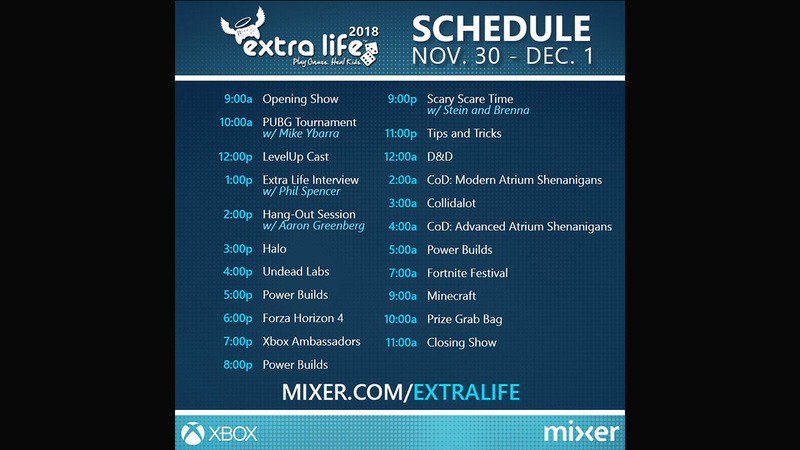 Tune in to Xbox’s Extra Life stream on Mixer to get in on all the fun; I’ll see you there!